Frank Catalano makes his major label debut with “Bang!” Catalano’s first CD for the legendary Savoy label (a division of Columbia Music Entertainment) just debuted at #12 on the Billboard Jazz Charts. His previous CD, “Mighty Burner” was on the Billboard Charts for 20 straight weeks, establishing him as one of the top-selling saxophonists in the United States. 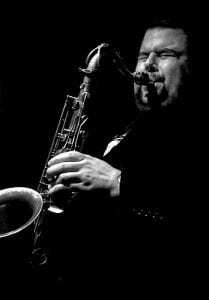 Catalano is the only known saxman to have performed with Miles Davis, Randy Brecker, Charles Earland, Stan Getz, Betty Carter, Von Freeman, Tito Puente, Tony Bennett, and Louis Bellson, while still in high school! This led to his signing to Delmark Records at age 18 and a string of critically-acclaimed recordings. More recently, Catalano has been heard by millions of people all over the world having performed/recorded with pop artists such as Jennifer Lopez, Destiny’s Child, and John Legend. No stranger to adversity, Frank cut off his right middle finger in an automobile accident. After several surgeries and much effort, Catalano relearned his signature technique, making him one of the most in-demand musicians today. A true example of the American Dream, he has been sought out to give speeches across the country, offering inspiration to those who have suffered hard times including: cancer survivors, AIDS patients, recovering alcoholics, and at-risk teens. Also an entrepreneur, Frank has patented a devise that allows him to control his saxophone via midi components. This led to his position as spokesperson/advisor to companies such as Yamaha, Rico/D’Addario, and JodyJazz. He can be seen in their worldwide Print Ads. Catalano’s songs have been used by Motorola, Land Rover, and Jaguar in their advertising campaigns. When not on tour or in the studio, Frank enjoys composing classical music. He holds a degree in music composition from DePaul University. Frank’s interests include racing his BWM 1-series in closed course competition, traveling with his girlfriend, Sona, collecting Goudey Gum Baseball Cards from the 1930’s, and enjoying a good martini.